K-Cup Gift Baskets - Which is the best for coffee lovers? For coffee lovers, k-cup gift basket makes the most thoughtful gift idea if you want to put a smile on their face. 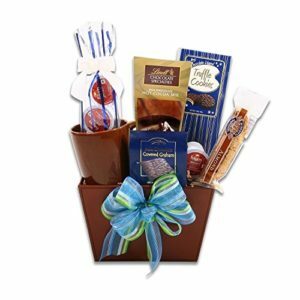 The real deal is that it comes with a variety of gourmet coffee gifts and specialty baskets to meet every budget and flavor preference. 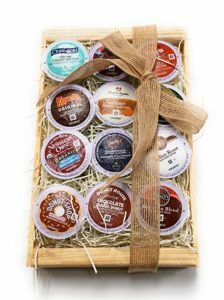 K-cup coffee gift baskets also match various people’s lifestyles and for various occasions such as birthdays, holidays, and anniversaries. While it is possible to make your own coffee baskets, you might not have enough time to do so. This, however, shouldn’t prevent you from sending coffee gifts to those you care about. Amazon has a collection of already built coffee baskets that you can choose depending on the occasion. Whatever the occasion you want to celebrate with your loved one, you can choose from the variety of single serve k-cups available on Amazon. Below are our favorite 8 k-cup gift baskets and boxes that you should check out. This 12/24 cup gift box is one of the cutest ways to say Happy Birthday to a coffee lover. 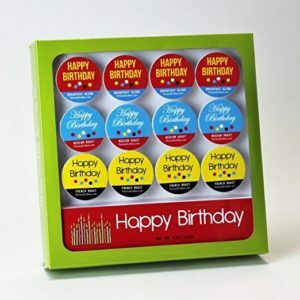 The single serve gourmet coffee comes packed in three different happy birthday designs and packed in a birthday gift box to make your present look more presentable. In each box, there is four breakfast blends, four medium roasts, and 4 French roasts all of which are 100% Arabica premium coffee. Regardless the distance, this keurig coffee gift box will fill the gap during his/her special day. More so, the 12/24 k-cups will help them celebrate their birthday for an entire week while remembering that you hold them special every time they sip their coffee. I love you more than coffee. Say what?? The surprise K-cup gift basket is a thoughtful present for any k-cup lover in your life, and especially if you have stayed long without meeting with the person. The baskets come in 4 gourmet k-cups, chocolate covered graham, a brown coffee mug, truffle cookies dipped in Jack Allen chocolate, one Lindt hot cocoa mix, once biscotti brothers almond biscotti, and a refrigerator magnet. If you want to go beyond the obvious flowers and chocolate, this gift is a perfect choice. It contains everything suitable to create a surprise, and more so it is quite affordable. Whoever you plan to send the gift will surely be surprised after seeing all the contents of the basket. This gift is ideal for both coffee lovers and chocolate lovers. 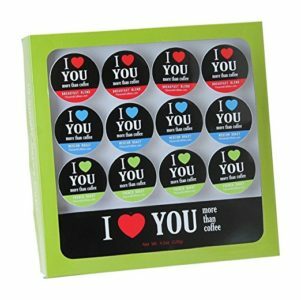 This selection contains 12 k-cups all with different flavors, all of which are certified kosher. It is packaged in an attractive natural wooden crate with a hand tied bow finishing. The gives basket is suitable for gifting a coffee lover for any occasion, whether on personal or business level. The package which measures 9x2x7 inches, also gives you the option of choosing either large or small cup sizes. In case you purchase more than one of these gifts baskets on Amazon, you get free shipping to your desired location. Show your loved one that you are thinking about them on any special occasion by sending them this k-cup gift basket. We love coffee and that is worldwide known fact but we also love beautiful appearance of this wooden basket. This k-cup gift basket is suitable for special occasions such as Father’s day, Mother’s day, birthday, and anniversaries or any other occasion. 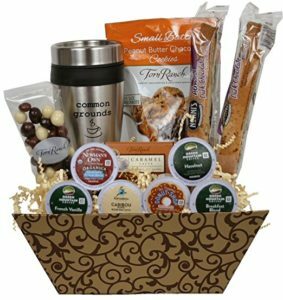 This gift basket comes with one stainless steel coffee mug with the k-cup assortment, chocolate peanut butter cookies, gourmet, two biscotti, espresso beans covered with chocolate, and dark chocolate bar infused with caramel latte; all packed in a beautifully designed and reusable gift basket with a hand-tied finishing. 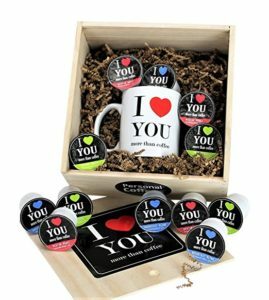 To add weight to the gift, you can put your personalized gift message on the beautiful message tag to be attached to the basket. 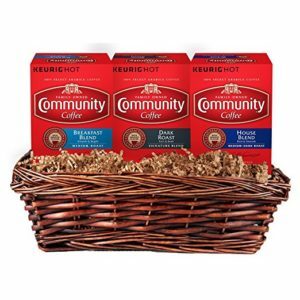 If you know anyone on your shopping list who uses KEURIG K-CUP brewers, then you might consider gifting them with the community gift set variety pack k-cup pods. The gift basket includes three boxes of 12-count k-cup pods with house roast, breakfast blend, and dark roast. The best thing about this basket gift is that you can serve everyone depending on their preferences. The basket is also quite affordable which means you can brew more while saving at the same time. You can also buy this gift basket for yourself to save on the cash spent daily in the coffee shop. You know you can trust Community Coffee since they have been the market for a long time each time serving fresh and smooth coffee. This keepsake wooden gift box contains 30 single serve k-cups each with an inspirational quote to help you start the day motivated. The coffee is 100% Arabica with three gourmet blends of 10 breakfast blends, 10 medium roast, and 10 French roasts. The gift box gives you the option take coffee depending on your preferred roast or the quote you want to guide you day. It also comes with an ecobrew freedom sticker for Keurig 2.0 brewers. The gift basket is one of the cheapest falling under $40, and you can choose to have it gift wrapped if you are planning to present it to a loved one who enjoys coffee. For me this is the best K-Cup gift basket (box) on our list. I not need anything to inspire me just give me my morning coffee and I become very inspired but there is something on this words on cups. Like one quotes say: Do what is right, not what is easy. Translation: it’s easy to buy any gift but it is difficult to find a perfect gift for coffee lovers. But now you have great idea what to do and how to amaze coffee lover. Choosing the right gift for dear ones is a big deal. We hope that we help you to choose the best K-Cup gift basket. Surely some of our ideas will help you impress to coffee lovers with a perfect gift. You must check Best coffee gift baskets There you can find more great ideas if you are stuck with a choice of gifts for coffee lovers. 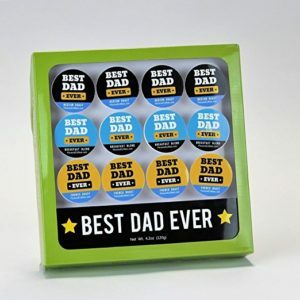 If you do not have enough money, do not forget to give gifts because sometimes is enough just a little imagination to make great K-cup gift box.